Coventry University and HORIBA MIRA will work jointly on one of four connected and autonomous vehicle testing projects which have received funding. Secretary of State for Business, Energy, and Industrial Strategy, Greg Clark MP, has given the green light for the Trusted Intelligent Connected Autonomous Vehicle (CAV) consortium – known as TIC-IT – as part of the national strategy to establish the UK as a global-leading centre of excellence for the development, testing and commercialisation of CAVs. The TIC-IT consortium, led by HORIBA MIRA in partnership with Coventry University, will receive grant funding from the UK’s innovation agency, Innovate UK, to establish a critical piece of testing infrastructure, which will form part of the world’s most effective CAV testing ecosystem. TIC-IT is one of four projects that will enhance the UK’s capabilities for the development of CAV technology. Collectively, the projects represent a total of £80 million co-investment by industry and government through Meridian; a partnership between the Centre for Connected and Autonomous Vehicles (CCAV), Automotive Council and the Advanced Propulsion Centre – with £51 million coming from government. 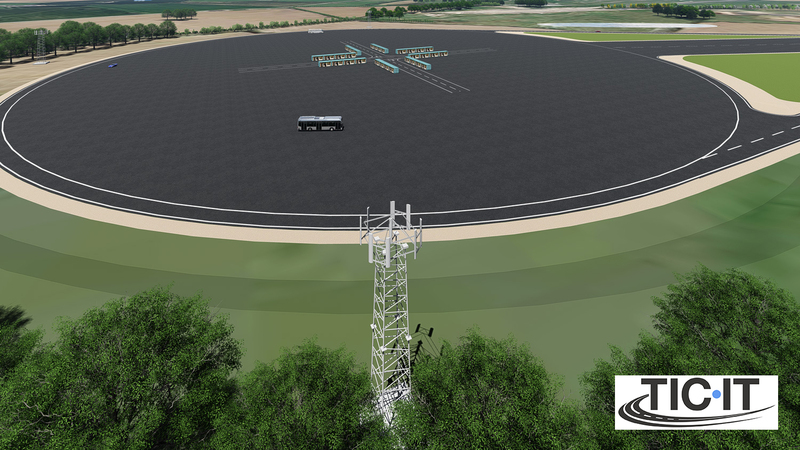 The TIC-IT facility will be built on HORIBA MIRA’s Proving Ground and will create a purpose built realistic, safe environment for testing CAVs up to the limit of their operability; a critical activity to ensure consumer confidence in the technologies. The test environment will be unique, enabling a wide range of CAV driving scenarios to be tested. The emergence of CAV technology is set to generate unprecedented levels of disruption and change not only within the automotive industry but the mobility sector, and with the testing ecosystem in place the UK is set to become a globally-leading centre of excellence for the development and commercialisation of this transformational technology. Business and Energy Secretary Greg Clark said: “Combining ambitious new technologies and innovative business models to address social and economic challenges lies at the heart of the Government’s modern Industrial Strategy. Accelerating connected and autonomous vehicle technology development is central to achieving this ambition and will help to ensure the UK is one of the world’s go-to locations to develop this sector. Dr Geoff Davis, Chief Strategy Officer at HORIBA MIRA said: “Not only does CAV technology bring huge benefits to society, but it also creates substantial opportunity for inward investment. In order to turn this opportunity into reality, the UK must accelerate the development, deployment and commercialisation of CAV technology; something we are delighted to be supporting with the development of TIC-IT.